William Counsell. 92pp. New Life Publishing Co., Nottingham, UK. 2003. A dramatic account of the growth of Pentecostalism in Lancashire with several references to Smith Wigglesworth. Of special note is a photograph of an inspiring letter written by Wigglesworth to a member of the Blackburn Assembly enclosing a small prayer cloth and instructions for its use. William Counsell is a senior Pentecostal minister of long standing and as a teenager was a member of the Blackburn Assembly in the days of Fred Watson. Roberts Liardon. 416pp. Albury Publishing, Tulsa, Oklahoma, USA. 1996. A study of twelve of ‘God’s Generals’, including a thirty page chapter on Smith Wigglesworth. Not only are key biographical highlights provided but life applications from the lives of the ‘Generals’ are also drawn out. Of related interest is a Video/DVD of the same title. 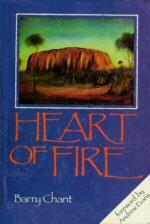 Heart of Fire by Barry Chant Barry Chant. 382pp. The House of Tabor, Unley Park, 5061. Australia. 1984. 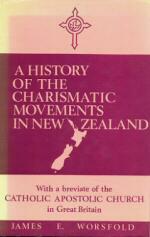 A detailed account of the development of the Pentecostal movement in Australia. It includes many references to Smith Wigglesworth and particular attention is given to his two visits to Australia in 1922 and 1927 and the impact he had on Pentecostalism. Also included is a sermon preached by Wigglesworth in Adelaide in 1922 entitled 'The Abiding Spirit'.